This is the original outfit I had on this morning while running errands with the family. Wanting to keepy my comfy causual look , yet dress it up a little- I quickly threw on some white skinnies and heels. Perfect outfit for lunch with a girlfriend. I wanted to show this photo to see to show how neutrals are always so versatile. By the simplest swap, you can take things up just a notch. Love the cutout sweatshirt! You look chic and fresh! so stunning, loving the all white! love the sweater and the heels! I love the way you style neutrals Sooae!! It’s great inspiration for me! Loving both looks! Amazing sweater! I love it! I love the shoulder detail on this topper, and the monochrome pairing makes it extra chic! Sooae, love this top and you look amazing of course. My favorite look is the first one, I guess because it is more me, but both of them look Gorg! Great post and thanks for the inspiration. Love the sweatshirt, it’s ability to be dressed up and down really speaks for it! I love this all white look, so pretty! I really love cut-out tops! Love how you styled yours! Love this dress up dress down outfit! You always make it look effortless yet elegant! xo C.
You always lookso good in bright colors, especially white! Such a beautiful cut-out shirt! 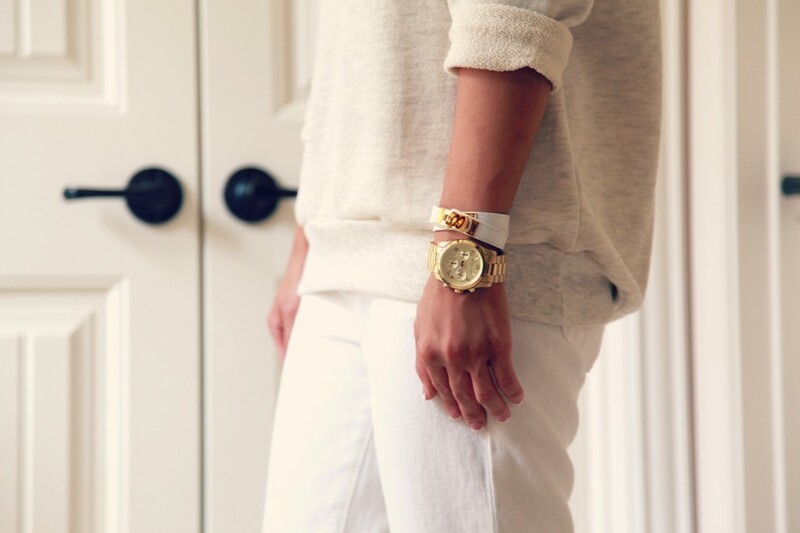 I love the all white look. That sweatshirt is so fun with the cut outs and I love that you can dress it up or down! I have a cut out tee from Zara and I love it! This is a very nice post, beautiful! Come and have a look at my new post if you want! Great outftit! Total white! I love it! Love the top! gorgeous outfit! Such a gorgeous cutout! Love how you can make monochromatic so chic! Chic sweatshirt! That necklace is so simple and beautiful. You look fabulous as always! Love the look with the heels and skinnies. You look fantastic! This sweater looks so nice and so comfortable! Love both styles! The sweatshirt is perfect! Gorgeous transition from day to evening look Sooae!!! So cool idea! You look stunning! and awesome change from casual to chic, love the two looks! I’ve always loved that you have a signature style that’s uniquely you. And you know my addiction to all sweatshirts. I love how you take such simple colors and transform them into such chic elegance!! Great sweatshirt! I can see it being very versatile! I love an all white look, cute top! Thanks for showing the before shot…it goes to show just how important accessories can be to a look. Those heels and your accessories made the lunch outfit so chic!! Girl! I need that sweatshirt. So cute!! !